The final analysis of the obtained data is carried out using a number of multivariate techniques by means of software packages related to the analysis of environmental and ecological data (PRIMER, DECORANA, SPSS, etc) along with some packages developed within the IMBG. The benthic boundary layer (BBL) supports epibenthic, hyperbenthic and zooplanktonic, mostly macrofaunal, organisms with different degrees of mobility and bottom dependence. BBL species constitute a very important link in marine food webs as consumers of detritus particles and associate microbes, meiobenthos and plankton and as prey for demersal fish and epibenthic crustaceans, many of which are commercially important. 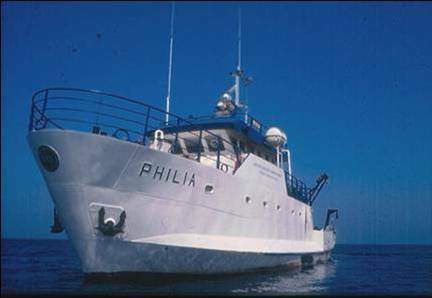 Nevertheless, the significance of this particular macrofauna is underestimated, especially in studies of benthic-pelagic coupling related to energy fluxes and also in holistic approaches of the marine ecosystem, mainly due to the difficulties in accessibility of this habitat. IMBG has developed new sampling gears for the study of BBL habitat focused mainly on the sampling of macrofauna as well as the simultaneous measurement of relevant physical and biogeochemical parametres. These methodologies will contribute towards a better understanding of the role of BBL biodiversity with respect to nutrient regeneration, carbon cycling and energy transfer to higher trophic levels. 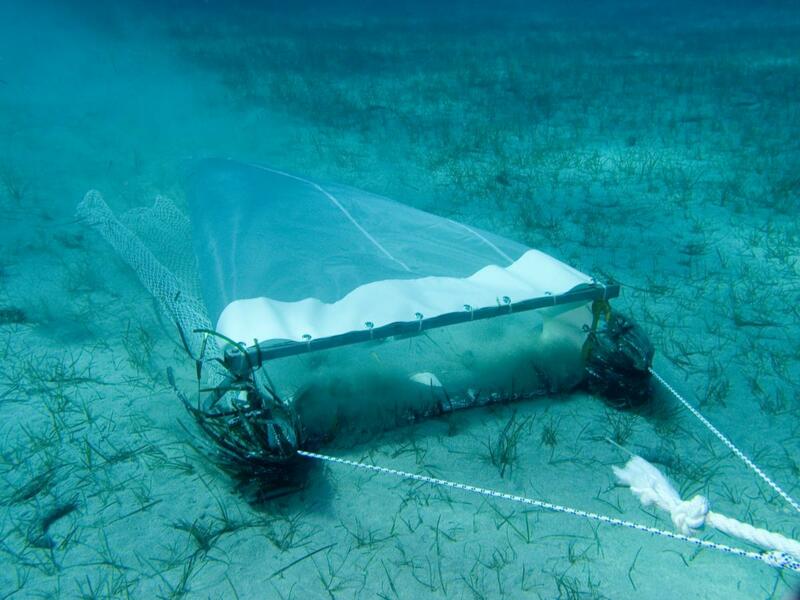 In the framework of a European funded project coordinated by IMBG (EE/DG XIV, Study Project 1999/036) a first towed sampling gear (modified hyperbenthic sledge) has been developed for the study of physicochemical and biological parameters of the BBL habitat. Despite its successful application the system is currently upgraded in the framework of MARBIGEN program (FP7-REGPOT-2010-1). Dounas, C.G., Davies, I.M., Hayes, P.J., Arvanitidis, C.D., Koulouri P.T., 2002. Development of a new method for the quantitative measurement of the effect of otter trawling on benthic nutrient fluxes and sediment biogeochemistry. 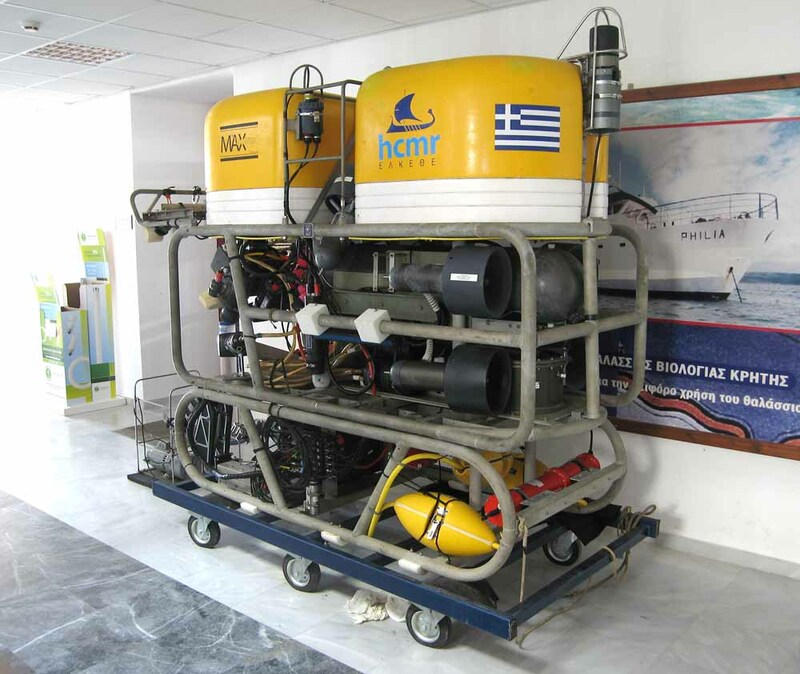 European Commission, Study Project Number 99/036, Final Report, HCMR, Heraklion, Crete, Greece. Koulouri, P., 2002. Preliminary study of hyperbenthos in Heraklion Bay (Cretan Sea). Biomare, Ecological Consultancy Services (Ecoserve) Ltd, Ireland, Newsletter, 3: pp.12. Koulouri P., Dounas C. & A. Eleftheriou, 2003. 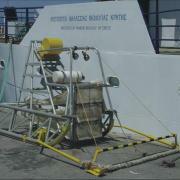 A new apparatus for the direct measurement of otter trawling effects on the epibenthic and hyperbenthic macrofauna. Journal of the Marine Biological Association U.K., 83: 1363-1368. Koulouri P., Dounas C. & A. Eleftheriou, 2005. Preliminary results on the effect of otter trawling on hyperbenthic communities in Heraklion Bay (Eastern Mediterranean, Cretan Sea). American Fisheries Society Symposium, 41: 529-537. Dounas C., Davies I., Hayes P., Arvanitidis C. & P. Koulouri, 2005. The effect of different types of otter trawl groundrope on benthic nutrient fluxes and sediment biogeochemistry. American Fisheries Society Symposium, 41: 539-544. Dounas C., 2006. 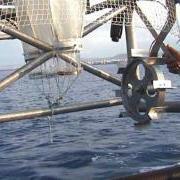 A new apparatus for the direct measurement of the effects of otter trawling on benthic nutrient releases. Journal of Experimental marine Biology and Ecology, 339: 251-259. Dounas C., Davies I., Triantafyllou G., Koulouri P., Petihakis G., Arvanitidis C., Sourlatzis G. & A. Eleftheriou, 2007. Large scale impacts of bottom trawling on shelf primary productivity. Continental Shelf Research, 27: 2198-2210. Koulouri P., Dounas C., Radin F. & A. Eleftheriou, 2009. 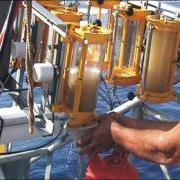 Near-bottom zooplankton in the continental shelf and upper slope of Heraklion Bay (Crete, Greece, Eastern Mediterranean): observations on vertical distribution patterns. Journal of Plankton Research, 31 (7): 753-762. Koulouri P., Dounas C. & A. Eleftheriou, 2002. Preliminary results on the effect of otter trawling on hyperbenthic communities in Heraklion Bay (Eastern Mediterranean, Cretan Sea). Symposium on Effects of Fishing Activities on Benthic Habitats: Linking Geology, Biology, Socioeconomics, and Management (organized by USGS, NOAA, AFS and ESA), 12-14 November 2002, Tampa, Florida, USA. Dounas C., Davies I., Hayes P., Arvanitidis C. & P. Koulouri, 2002. 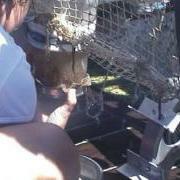 The effect of different types of otter trawl groundrope on benthic nutrient fluxes and sediment biogeochemistry. Symposium on Effects of Fishing Activities on Benthic Habitats: Linking Geology, Biology, Socioeconomics, and Management (organized by USGS, NOAA, AFS and ESA), 12-14 November 2002, Tampa, Florida, USA. Koulouri P., Dounas C. & A. Eleftheriou, 2006. 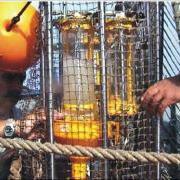 New methodologies for the study of Bottom Trawling Effects on Deep-Sea BBL habitats. 2006 Ocean Sciences Meeting (organised by AGU, ASLO and TOS), 20-24 February 2006, Honolulu, Hawaii, USA. Koulouri P., Arvanitidis C., Koutsoubas D., Dounas C. & A. Eleftheriou, 2011. New field methodological approaches for the study of benthic boundary layer (BBL) biodiversity. World Conference on Marine Biodiversity, 26-30 September 2011, Aberdeen, Scotland, U.K.
Koulouri P., Dounas C., Arvanitidis C., Koutsoubas D. & A. Eleftheriou, 2012. Effects of otter trawling on benthic boundary layer (BBL) macrofauna and implications for the diet of bentho-pelagic fish species in a fishing ground of eastern Mediterranean. 6th World Fisheries Congress, 7-11 May 2012, Edinburgh, Scotland, U.K.